Iceland is a volcanic island sitting on top of the Atlantic ridge and is a ticking time-bomb, and Icelanders are constantly reminded of that. Yesterday the farmers and summer cottage owners in the inland of south Iceland clearly felt a 4.5 magnitude earthquake originated in the domain of an active volcano. One farmer in the area described the earthquake as if a truck hit her farm to a RUV reporter, the family clearly felt a single strong impact and they ran straight to the window to check on their neighbour, the volcano named Hekla. According to measurements the current pressure in the magma chambers underneath Hekla volcano is greater than it was leading up to the last two eruptions in 1991 and 2000. The pressure has been mounting for quite some time and there have been numerous predictions and speculations about a looming eruption. The pressure clearly points to the volcano being ready to erupt but it's hard to say what the tipping point will be. 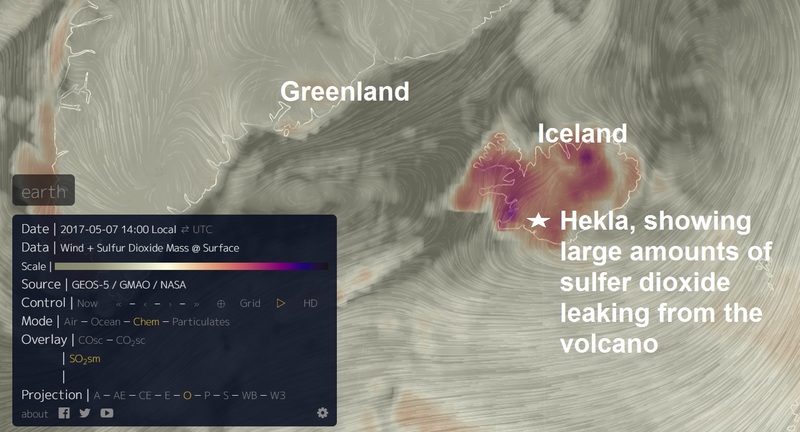 The earthquake yesterday doesn't have a direct link to the pressure under Hekla Volcano but evidently something is brewing under the crust of south Iceland judging by the pressure in the magma chamber and the number of tremors and earthquakes taking place there in the past months.